Micah Sifry's terrific piece in TechPresident (where I contribute occasionally) neatly sums up one the year's greatest political frustrations on the left - the utter failure of the super-connected Obama campaign to use that grassroots power in the cause of the very issues the President ran on. When I talk to groups about social media trends, Obama '08 is a key data point - yet as the year went on, I started to add a crucial caveat to my presentations: that political campaigns don't generally translate to governance. I remember asking Micah late last year when Obama should begin using his vast network of online and grassroots supporters to start pushing for public healthcare and other issues. This was during the campaign, actually; Micah was probably right in answering "not yet," since Obama still had to defeat McCain and the Republicans. But it's a tragedy that he didn't switch instantly from campaign mode to policy mode after winning election - especially on public healthcare. I'm firmly convinced we wouldn't have this pale, anemic Senate insurance regulation mish-mash tarted up as "historic reform" if the President and his team hadn't made the decision to stop campaigning and organizing. In the end, "Obama the Organizer" remains largely a myth, at best a one-off tactical feature of his successful political campaign. And that's too bad for all of us. Here's the theory: a two-bit mook is sent by Al Qaeda to do a dastardly deed. He winds up neutering himself. Literally. Authorities respond appropriately; the president (as this president is wont to to) presides over the federal response. His senior aides speak for him, letting reporters know that he's videoconferencing regularly, that he's ordering a review of terrorist watch lists, that he's discoursing with his secretary of Homeland Security. This is what I admire about President Obama. As much as some of his laid-back, seemingly passive style drives me insane on issues I care about (ahem, health care) it's the opposite reaction hereabouts to his tone on our 24/7 "breaking news!" world. The President did this exactly in key, panicked no one, and gave the incident the level of response it deserved. Yeah, the TSA seems to be going overboard in its response (no standing during the last hour of flight, no electronics, closed toilets etc.) but at least the executive branch did no ideological posing. And you know who had to hate that? Al Qaeda's PR team. We're not changing our health-care system very much at all, in fact. We're reforming the margins of the health-care system. As Big Tent Democrat says: "Put THAT on the teleprompter." My disappointment with so-called "healthcare reform" is profound and Ezra Klein's post at the WP does the best job of laying out why. There's not much there. No public option. No real reform for five years. A so-called mandate with no penalties and a seemingly optional agreement with the health insurance industry - whose stocks are soaring to half-century highs on the news of this mess. Some will call it "historic." They will be wrong. It was a very great honour to meet Yessika Hoyos Morales of the Corporacion Colectivo de Abogados for lunch today. Yessika is a deeply inspiring character and has given me the energy to pressure the government into taking a tougher line with Colombia, particularly within EU negotiations on a possible free trade agreement with the country. I shall be asking questions of the Foreign Office about the extra-judicial killings of dozens of trades unionists in Colombia, many of which are linked to the Colombian army. My friend and namesake Tom Watson, MP met with Yessika Morales to discuss anti-trade union violence in Colombia - something that the Obama Administration should paying more attention to. As Tom tweeted: "Yessika Hoyos Morales risked her life to see me today. Help protect her by sharing her name with your networks." Done! And I'd ask you to do the same. As Tom points out, the Colombian army stands accused of a “crime against humanity” due to the “systematic and widespread” nature of the murders. You can read more about Ms. Morales's courageous campaign here. One thing to keep an eye on. Lieberman has made some specific demands, which he insists have to be met. But what's to stop Lieberman from making new demands if the White House and Senate leaders give him what he wants now? It's not like he's negotiating in good faith, and it's not like Lieberman's word has value. The White House doesn't get it: if anything about this smells like a liberal success story - or even a big Democratic victory - Lieberman will use his procedural power to block it. He's not running again. He is reviled by most in his own party, disgraced in his won state. He doesn't care, about people's lives or the future of what used to be his party. The man who ran on universal healthcare in 2000 has ceased to exist. Yet, Rahm Emanuel is in healthcare bill-at-any-cost mode and will call it "historic" no matter what it contains. 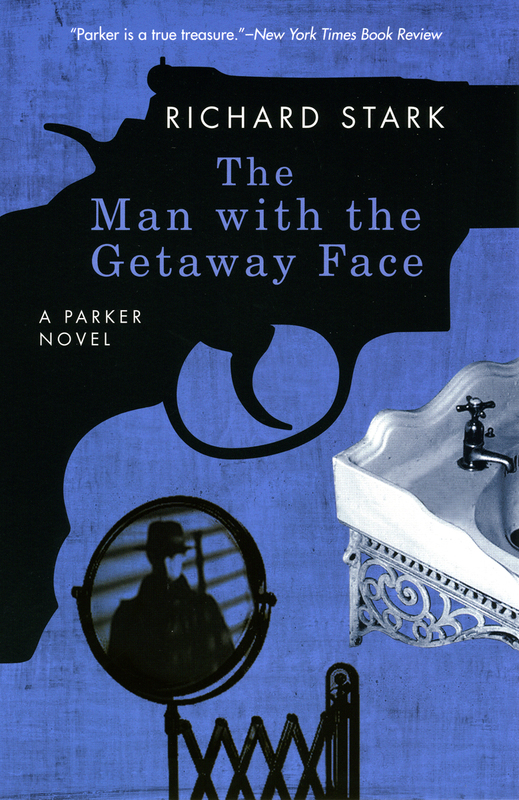 My vast pile of bedside noir was dominated earlier this year by one of the most soul-less characters in literature: Donald Westlake's Parker. I dropped head-first into Westlake after his sudden death last New Year's Eve in Mexico at age 75. Sure, I'd picked up a few Westlakes at airports and beach-side bookmarts over the years and the prolific crime writer wasn't one to disappoint. And partly, it was Lance Mannion's tribute: Lance favored the picaresque side of Westlake, the hilarious Dortmunder gang-of-thieves novels that dominated Westlake's late career and made him, as Lance noted, "an acute social satirist." But falling into the Parker novels was a vicious free-fall into darkness at the start of a very dark year, a year that latches onto its dangerous and shifting shadows still. And so when I tumbled into Westlake's Richard Stark books - primarily his Parker series - the sheer absence of soul was a narcotic on a par with the hardest blues, a pure vein of criminal noir without a single beam of light. In short, Parker was the perfect literary sideman for my 2009 - a glimpse into the real American heartland, a lightning flash on the dark night that shows you a truth about this country that you don't want to see: the fact that all the do-gooders in the world can't fix some people, whether they're running things on Wall Street or killing a liquor store owner in some nameless mid-western town. Parker is a remorseless killer, but it's not the murders that hold your attention in the series, which runs to 24 precise and plot-driven novels. Indeed, the murders are generally related without the gory details - they're just stated as mere updates in unfolding events. Rather, it's Parker's criminal knowledge that's interesting: his intricate preparation for the crime, his instincts for the score, his reaction to danger. Parker's violence is vast, but it's not maniacal; it only serves a purpose in the killer's overall goal - to make some money so he can lay low for a while. Westlake told an interviewer a few years ago: "I’ve always believed the books are really about a workman at work, doing the work to the best of his ability. However, I see him more as working stiff than professional class." Parker lowered the gun. There wasn't enough reason to kill these three. It was dangerous to kill when there wasn't enough reason, because after a while killing became the solution to everything, and when you got to thinking that way you were only one step from the chair. In some ways, the Parker novels would seem to be perfect cinematic investments: they're all plot, and paced for the screen. Yet only The Hunter has been made into movies - twice, in 1967 as Point Blank with Lee Marvin, and in 1999 with Payback with a poorly-cast Mel Gibson. I can understand why: there's not much character to latch onto, no hand-holds for a leading man. Westlake said he always pictured Parker as resembling Jack Palance, and that stony presence, without even a touch of humor, is required for the part. Tough to portray, harder to film; there are no Tony Soprano remorse sessions on the therapist's couch. So put Parker on that booklist if it's been a hard year, or if next year looks like a tough one for the noir fan nearest you. Terry Teachout was right about these books: "Anyone who doubts the existence of original sin, or something very much like it, would do well to reflect on the enduring popularity of the novels of Richard Stark." Sometimes you need the badlands. By the way, there were a few other movie adaptations of Stark books: Godard's "Made In USA", based unofficially on "The Jugger", "Slayground", starring Peter Coyote, which I never saw; and one pretty good one, "The Split", starring Jim Brown (! ), based on "The Seventh"; oh, and I just remembered, another good one, "The Outfit", based on the book of that name, starring Robert Duvall. Punting on the Public Option...But Expanding Public Healthcare? WASHINGTON — The Senate majority leader, Harry Reid, said Tuesday night that he and a group of 10 Democratic senators had reached “a broad agreement” to resolve a dispute over a proposed government-run health insurance plan, which has posed the biggest obstacle to passage of sweeping health care legislation. It appears from the scant details making the rounds this morning that this Senate is punting the public option down the field to some future Congress (and President) - while expanding the nation's current public healthcare system (namely Medicare) and enacting new regulations on private insurance. The White House calls the news of the "deal" between 10 Senators of the middle "great progress" but I'm not so sure. While it appears to improve what is un-ironically referred to as the "American healthcare system," the deal abandons true public healthcare under a Democratic President and Congress. Said Russ Feingold: "“I do not support proposals that would replace the public option in the bill with a purely private approach.” with the absence of Barack Obama in the jaw-boning on this issue - in my view, one of the poorest strategic decisions of this still-young Administration - a handful of Senators is batting around an increasingly frayed reform package that may in the end accomplish very little.